Jana graduated from the Theatre Academy in Prague. Since 1985, she has performed for children, creating projects and works with civic associations for children. Since 1997 she has cooperated with the Art School and other schools in Slovakia. She has directed performances for students and with students to help develop their own creativity. She is a strong believer in the importance of these experiences and the value of drama therapy. She does workshops for the mentally disabled in „Better World“. For the past nine years, she has been the member OZ Jablonka, where she has participated in organizing summer camps and creating Eko-fairytales. Lucia graduated from the Academy of Performing Arts in Bratislava in Puppetery and in Therapeutic Pedagogy at Comenius University. From 2004-2009, she performed in the Child Studio TV show as a presenter puppeteree. Later, she worked with groups of children and young people in MIXklub Vrakun. In 2006, Lucia was in the children's theater group Theatre Dúhadlo (creative, theatrical space for children with mental disabilities). She specializes in therapy for children with DOWN syndrome. She has collaborated in the creation of three performances including „About kids“. She has also worked with children and students as a teacher of literature and drama at the Art School Josef Kresánek in Bratislava. Since 1989 Jana has been a member of the group Tornado Lue, in which she sings, plays guitar and writes lyrics. She also participates as host and musician in the performances for children in Dunajka Theater. Martin studied Performing Arts in Bratislava, specializing in Puppetry. Since 2005, he has performed in theater for children all over the Slovak Republic. In 2008 he founded the Agape Theatre, which specializes in acting for children and youth. He works with Roma children in Plavecký Štvrtok and with mentally disabled men as drama therapist in DSS and ZPB MEREMA in Modra. He believes that love and joy can spread everywhere, and works to spread that message. When children laugh, they're the most precious value of human life. Kristina studied puppetry at the Performing Arts in Bratislava. Since 2005, she has her own theater Makila, where she plays for children at nursery centers, kindergartens, schools, etc. She believes that the best moments in life are when people laugh. She values her beliefs in both professional and private life. She tries to catch every sad moment and brings to it a different and beautiful angle. Her first client, and also a critic, is her seven year old son Michal. Marka graduated from the Prague Academy of Performing Arts, –specalizing in Puppeteering and Drama. She has performed in numerous Czech films including a starring role in How to wake the Princess“ (directed by V.Vorlíček). 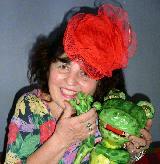 She has directed and performed several theaters, such as The Minor Theatre, Lampión Theatre (Kladno), Theatre Bajka (Český Těšín), Ottokars Puppet Theater (Ravensburg, Germany). 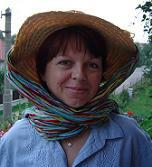 Marka has written three published books for children (Roches and Bzunda, Knihafoss and JO537). The latter two having been nominated for the literary prize - Magnesia Litera. Hana played in the amateur theater Lucerna in Prague and later professionally in the puppet theater, Minor, in performances for children and adults. She taught at Frank Towen Acrobatics, where she successfully utilized her teaching talents and acrobatic experience. As an assistant at Frank Towen, she also taught tap and jazzdance. Hana works with children as a devoted teacher in kindergarten. Antonín graduated from the Conservatory of Jaroslav Jezek, specializing in mime. During his studies, he was also an intern at the studio of Jerzy Grotowski in Poland. He worked in the pantomime group Ladislav Fialka at Na zábradlí in Prague. In 1990 he joined the puppet theater Minor, where he played for almost ten years. 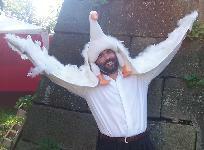 Currently, Antonín is a free artist and focuses on playing for kids and a solo mime. He regularly participates in other charitable and social events, such as in the project Muzy dětem (Muses for children). Hana graduated from sociology from the Charles University in Prague. Following her graduation, she worked as a social worker at VÚM Klíčov, a professional therapist at Sananim Němčice, as the Head of the Nursing House Cernosice, and at the therapeutic community Magdalena. She currently works as a private therapist http://www.terapeuti.net/. Hana also performs as a singer and drummer in the band Zuby Nehty (www.noise.cz/zubynehty). Marie graduated from the Prague College of Education. She has considerable experience as an educator, teacher and in theater and music-led playgroups for children. She sings in the Prague Khün choir.